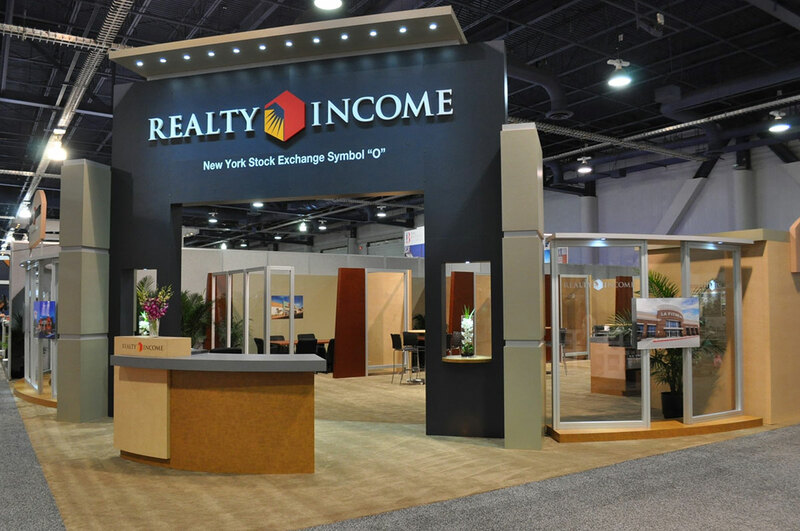 Realty Income is a successful and publically traded San Diego company that provides investment opportunities in single tenant commercial properties. 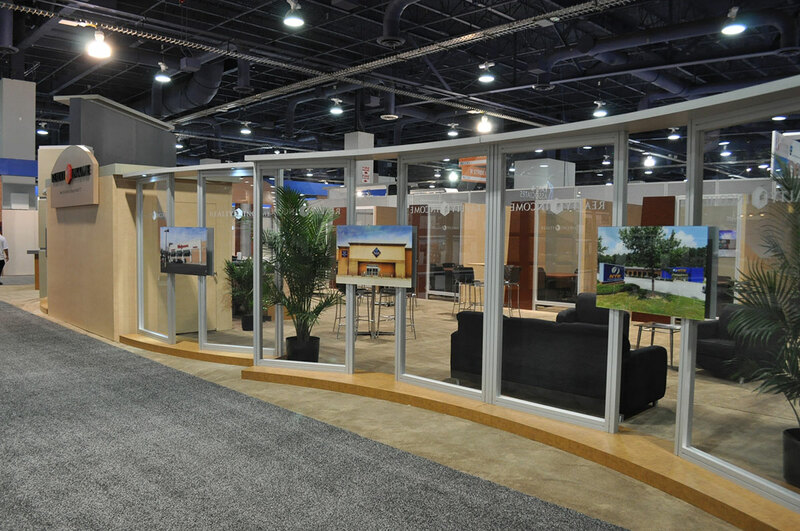 Their major event is the Recon Commercial Real Estate show where they have a 40’ x 80’ space. Our design challenge was to create an environment that serves two main objectives. 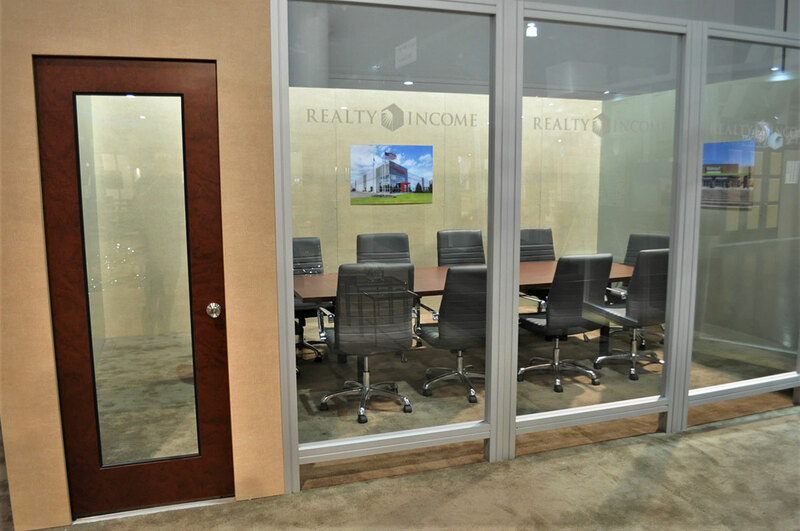 #1 Private and pre-scheduled meetings with business owners to discuss the Realty Income building buy and lease back plan and #2 meetings with potential investors to consider the publicly traded Realty Income stock. 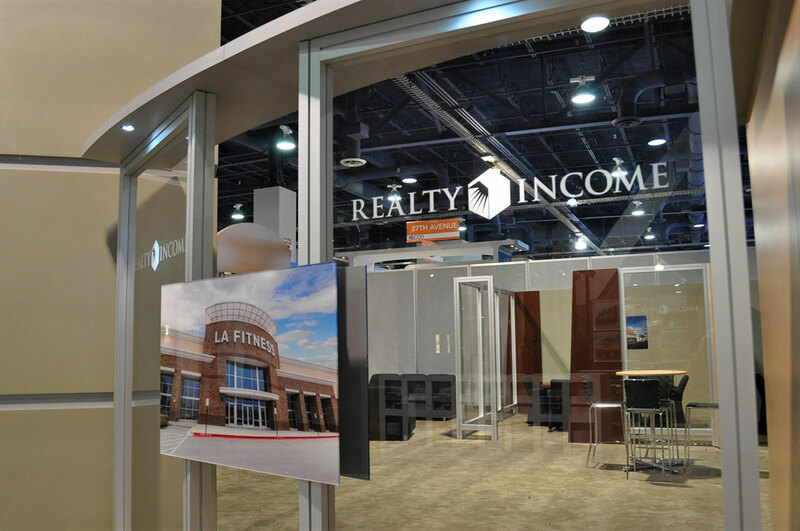 The ability to qualify and control both scheduled and casual visitors at the main entrance of the booth space was critical. 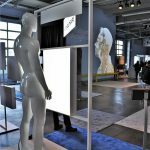 The Branded Area solution was to create a space that allowed for tightly controlled entry to the space without feeling closed off and uninviting. 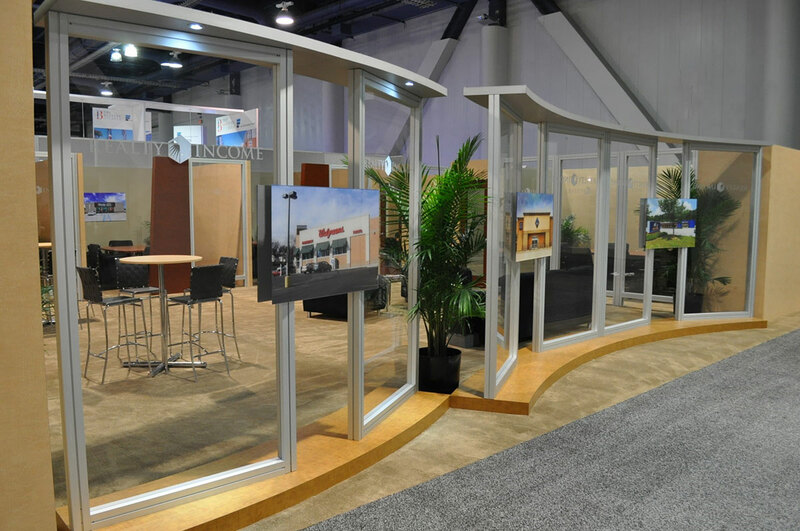 By incorporating organic shaped clear walls, we achieved the desired look and delivered the functionality. 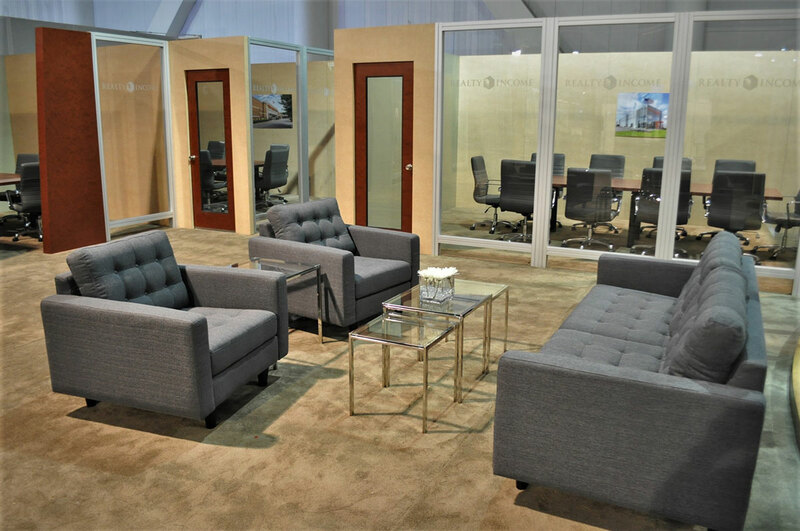 Two private executive meeting rooms, five semi-private rooms, a hospitality bar, informal meeting space and ample storage rounded out this functional design. 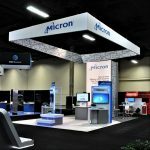 We designed the overall architecture to look solid and stable to represent the brand of a company that has been a solid investment opportunity for years. Branded Area uses a smart and strategic approach to deliver environments that meet our client’s objectives and deliver results.